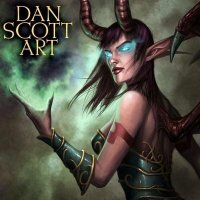 Dan Scott is a digital painter whose work includes covers for Star Wars comics. Dan Scott is a digital painter whose work includes covers for Star Wars comics published by Dark Horse Comics. He has a degree in illustration from the University of Central Missouri in Warrensburg.